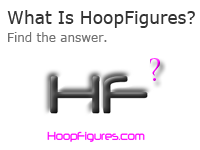 A HoopFigures website gives you an advantage over all other leagues in your area. Hundreds of different features. All in one place. 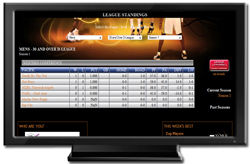 The user features coupled with the back-end management system will keep your league running smoothly from day 1. Sit back and relax while your website does all the work. Each season, awards are automatically generated using the NBA's Player Efficiency Rating (PER). 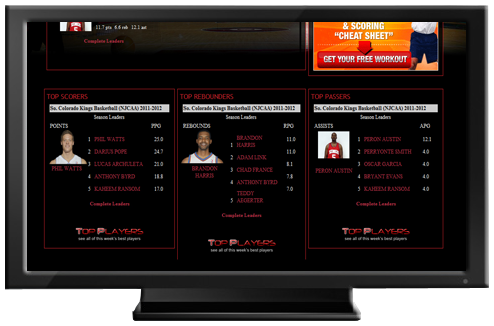 From league MVPs to weekly Players of the Week, a HoopFigures website does the work for you. See a list of awards here. And if you don't like the selections made by HoopFigures, you can override the selection(s) and enter your own. 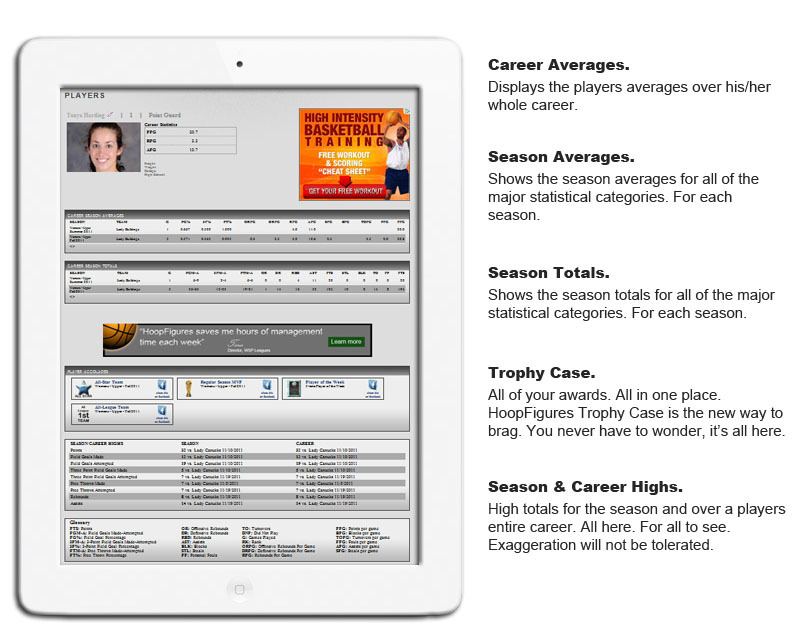 Your website will automatically create All-Star teams halfway through each season for you. Don't worry about any added tasks, you do nothing. Using the NBA Player Efficiency Rating (PER), the top 8 players from each conference will be selected to the All-Star game. Now everyone will know who the top players are in each of your leagues. The top 5 players for points, rebounds and assists are automatically highlighted on multiple pages throughout your website. You don't have to run and tell anybody, they already know! Player Profiles. Its just like the NBA. Everyone has the dream, but only a few have made that dream a reality. Until now. One of the many features that will have everyone saying "It's just like the NBA". And with the addition of Trophy Case, bragging and smack talking will reach a whole new level. The Board. Clearly the best way to blog. Your new favorite way to say just about anything. 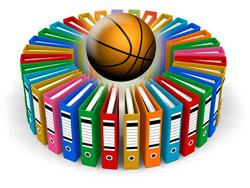 Keep your players, coaches and fans up-to-date on all that's going on in your league. Start online battles between players when you post articles stating who the best player is. If you can use Microsoft Word then you can update your website. Post videos, images, articles... pretty much everything is fair game on The Board. Scoreboard. You don't even have to be there. 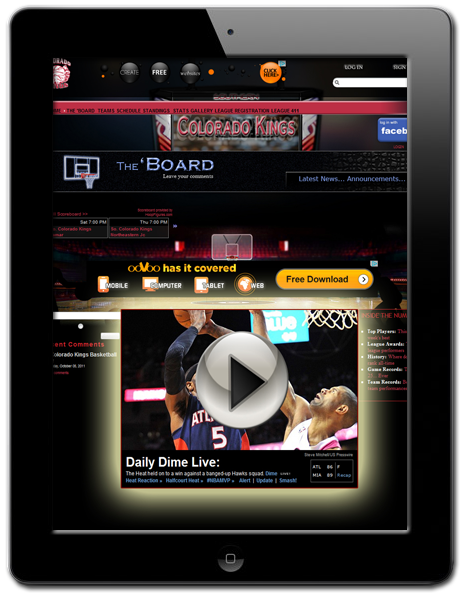 Scoreboard lets you see current scores of games. In real-time. When you have the Live Stats Extension, scores are updated in the scoreboard as they happen. If you don't have the Live Stats Extension, don't worry, there's something for you too. Scoreboard automatically displays the final scores, links to box scores and links to opposing teams. It doesn't get much sweeter than this. Your league. On all devices. 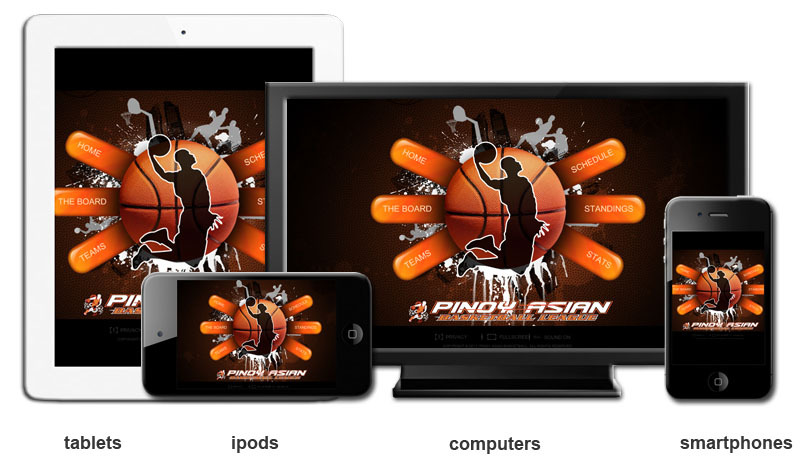 HoopFigures websites are compatible across virtually all platforms. 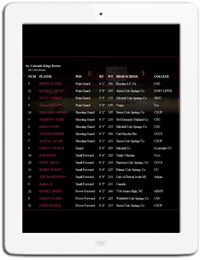 Your users can access scores, schedules, stats, even post comments from anywhere. Desktops, laptops, smartphones, tablets... all they need is an internet connection. Years later, your players can show their grand-kids what they did in your league. The stats are forever. As long as your subscription is paid, the stats are public record. Available for everyone to see. Scores and Schedules are available online 24/7. No team can show up late and claim they didn't know their game was scheduled for 1pm. Team rosters, team schedules, team standing, team stats. All part of the team pages. 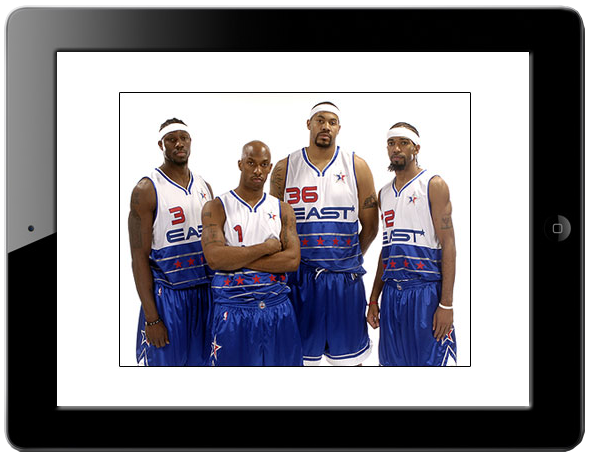 Get all the information on all your favorite teams. Coaches, and players alike, can scout and prepare like the pros. HoopFigures not only automatically tracks wins/losses; but home records, road records, team points per game, opponents points per game, point differential, record over the last 10 games, etc. There will be no Cinderellas sneaking up on anyone in your league. The automated stat tracking will have players thinking they are in the NBA. Points, field goal percentages, rebounds and more. Pretty soon they'll be demanding new contracts. Team captains and coaches will feel like General Managers now. HoopFigures has that NBA front office feel. 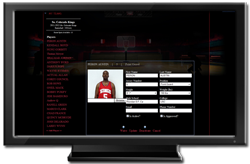 The team management back-end allows for adding new players, waiving players, picking up free agents, deactivating players and more. Who wants to be GM for a day? Don't just tell them, show them. The Photo Gallery allows you to put up albums upon albums of snapshots for all to see. 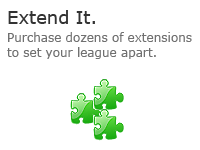 Looking for a page strictly dedicated to showing your videos? Look no further. Leverage numerous video hosting websites (YouTube, Vimeo, etc.) from your website. Without having to worry about added hosting charges. Let them see your league in action. 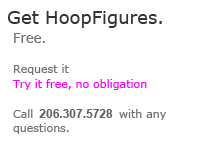 HoopFigures websites come with pre-populated policy pages to give you a good start. Don't sit for hours trying to create professional looking documents. It's already done. An edit here, an edit there and you're finished. League Rules. Official Policies. Free Agency / Trade Policies. Payment Principles. 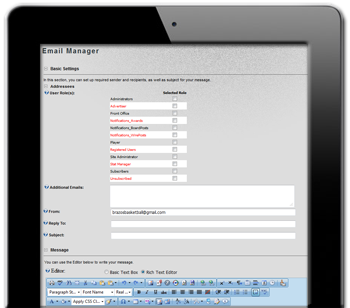 Send out email blasts to all of the players in your league with one click. Inform all players of a game cancellation, advertise your next league, notify all players of a rule change, the uses are endless. 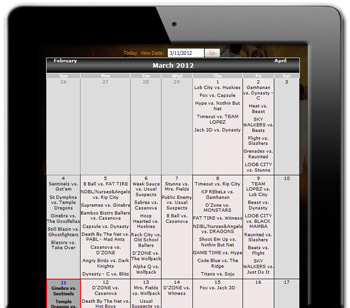 The HoopFigures Calendar, available for everyone to view what's scheduled on any given day. The calendar is auto-populated with regular season and playoff games, and you have the ability to add any other event you like. Pick-up games, skills clinics, all-star games, etc.